Barry Hopkins of Catskill was a devoted art teacher and naturalist who helped create "A Greater Sense of Place," an innovative program that helped students appreciate and understand the world in which they lived. Barry's passion inspired thousands of people to appreciate the beauty of our world and to respect and protect the delicate balance of our natural environment. 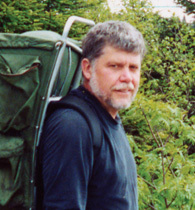 Barry died in July 2007 after a long battle with brain cancer.